Donald Trump tries again to pay less in taxes on his fancy new hotel. Was Trump expecting a giant assessment reduction on his new hotel? The president-elect is suing the nation’s capital over hotel taxes. Lawyers for an LLC owned by Donald Trump and his children will try again to reclaim tax revenue from Washington, D.C., Bloomberg BNA reported on Wednesday. Their first suit, which alleged that the District overtaxed the Trump International Hotel, was dismissed in late October. It is now being refiled in separate petitions for each of the lots that make up the property. The hotel in question is located in the Old Post Office Building, a federal property that Trump Post Office LLC rents from the U.S. General Services Administration, or GSA. In two months, Donald Trump will have the power to appoint the head of the GSA, which would handle any contract renegotiations with the hotel, which will apparently be controlled at that point by a trust run by the president’s children. But that’s all to come. Back in June, Trump’s team argued that its $1.7 million annual tax bill in 2015 and 2016 was too high because the hotel was only partially completed at that time. They also said the lease, which the city assessed at $98 million and lowered to $91 million on appeal, was only worth about $28 million, according to Politico. Of course, they would say something like that, even if Donald Trump hadn’t had a history of bad casino deals and trips to bankruptcy court. But in 2012, Trump would have had reason to believe an assessment bonanza was on the way. The Real Property Tax Appeals Commission, the body that now reviews contested assessments in the capital, was created that year to replace an appeals board that was infamous for giving out huge assessment reductions to commercial property owners. Ninety-three percent of reduced potential revenue came from commercial properties. The old board often approved assessment discounts of about $3 billion a year; the new RPTAC cut that to $1.7 billion in 2013 and $1.3 billion in 2014. Presumably, the balance sheet for the Trump International Hotel looks a lot blacker if you cut the assessed value of the lease by $70 million. But the owner-friendly board is gone. And the court appeal is unlikely to generate a different result with the lots considered separately than it did when they were considered together. If the Trump family was counting on a favorable commercial tax appeal to make the math work, it might be in trouble. There are two bright spots on the horizon, however, for Trump Post Office LLC. 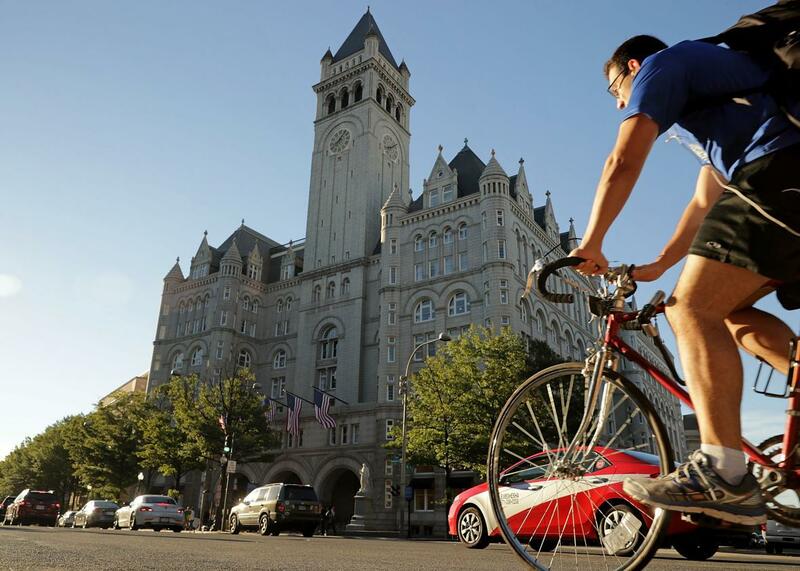 First, one reason that the deal looked bad in 2012 was that experts projected the hotel would need to charge $750 a night, about $200 more than the Four Seasons in Georgetown. Lo and behold, the Trump International was full of empty rooms at that price this fall, even as other five-star hotels in the capital were booked solid. Now that the hotelier is the president-elect of the United States, those rates don’t seem so high. Booking a room at the Trump hotel may prove to be a way of currying favor with the president, his aides, and his allies—and staying at a rival hotel might provoke the opposite effect. Second, if Eric, Don Jr., and Ivanka can’t make it work, they could find themselves renegotiating that onerous lease across the table from a hand-picked appointee of their father’s. The art of the deal!